RVING 101 | RV Types Introduction into the different types and classes of RVs and what makes each type unique. This is the perfect guide for “newbies”. 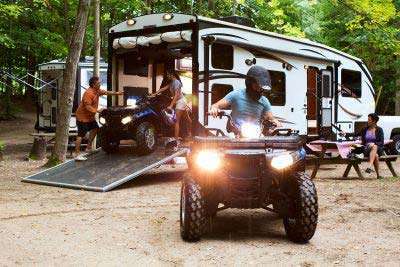 Common terms frequently used among RVers provided with definitions. This guide will have you feeling like a pro in no time! 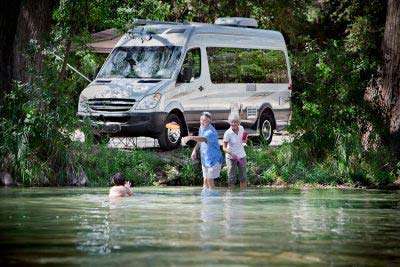 By the time Easter rolls around the calendar, campers are itching to get back into their RVs. We feel your excitement. It’s been a long winter and we are ready for a road trip, too. A spring camping getaway is the perfect cure for those winter blues. Whether you have a motorhome, fifth wheel or pop-up camper, March and April are amazing times to go on a spring camping getaway. 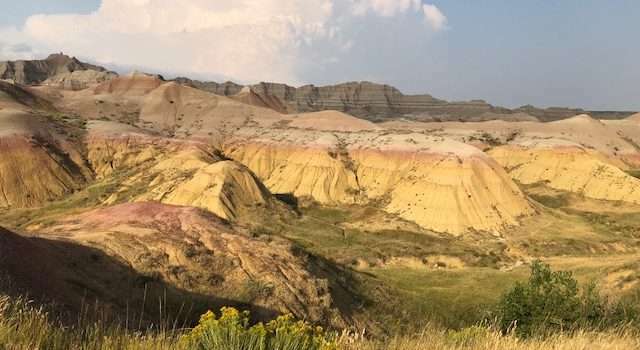 While nature is emerging from its winter slumber and the weather is warming up, the summertime crowds are nowhere to be found — leaving you plenty of room to explore your destination of choice. 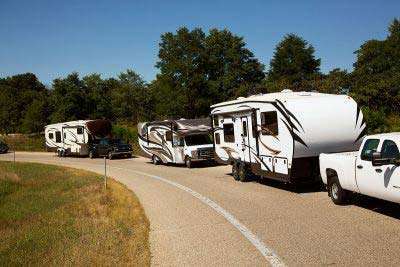 So, get your RV out of storage and bags and totes out of the garage or basement. Have a fantastic kick-off to the season with these spring camping getaways perfectly suited for your next adventure. The Winnebago Travato (59G) has been known for its adventurous spirit as it became one of the best-selling B-class vans in America; and now Winnebago is proud to announce the all new Travato 59K. Stretching 21’ in total length and supported by the powerful Ram ProMaster chassis, this mighty Class B is packing quite a lot of perks in one fuel-efficient package. Featuring the Deluxe FROLI Sleep System for extra cushioning, the two twin beds are perfect for relaxing during the day, and fold out into a large queen bed for a restful night’s sleep; while in the 59G model you have the luxury of a spacious corner bed. The convenient rear wet bath is another huge perk to the open floor plan laid out in the Travato 59K; as well as the 6’3” interior height for easy maneuverability. Maximize your living and storage space with all of the great features in the Winnebago SmartSpace design. Class B motorhomes are the future of RVing for those looking for ease, comfort, and adventure – without compromising on style, and the Synergy Motorhome by Thor Motor Coach company is the perfect fit for those looking to give it a try. The Synergy sits on a Mercedes-Benz Sprinter chassis and features a 3.0L V6 BlueTEC Diesel engine. Each floorplan includes 1 slide in the living area for that extra at-home space, but it isn’t the only thing to make you feel at home. With great features such as the double door refrigerator, European induction cooktop, spacious bedroom and full bath, who wouldn’t want to stay out on the road? Take in all the scenery of your family adventures with the large, frameless windows and swivel, leatherette captain’s chairs. 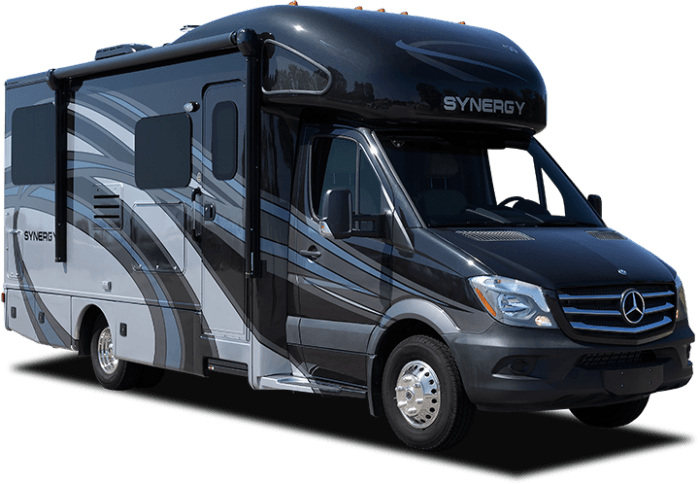 Don’t let life pass you by, take on the open road and all of your adventure needs with the Synergy Class B Motorhome by Thor. 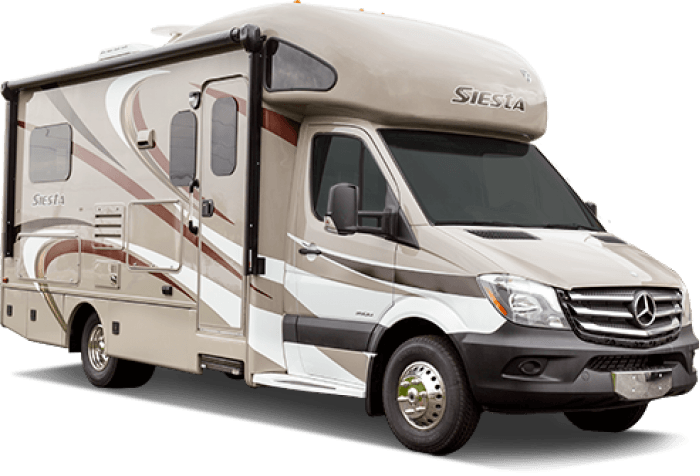 From the first mile through the last, no other class B+ compares to the Siesta Sprinter from Thor Motor Coach. This luxury motorhome sits atop a Mercedes-Benz Sprinter chassis and comes fully loaded with a V6 diesel engine, touch screen dash, and back-up monitoring system. Enjoy the Rotocast storage compartments and single slide on all of the Siesta models – providing plenty of space for all of your adventurous needs. With the spacious over-cab bunk and multiple beds size options, this motorhome is sure to fit the needs of any family. The gallery kitchen provides optimal prep and cooking space including flip-up counter extenders, refrigerator, convection oven, and induction cooktop. Let the Siesta be your families next big adventure. 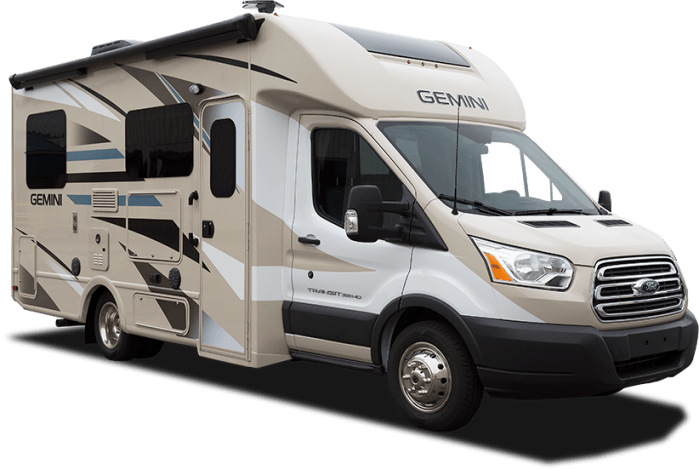 The sleek and stylish Gemini motorhome from Thor is both budget and family friendly. From modern interior designs that optimize space in revolutionary ways, to having all the at-home amenities you’ll need, this new Class B motorhome is quickly climbing its way up in the RV world. Built on your choice of the trusted Ford Transit chassis, or the ultra-comfortable ride provided on the Mercedes-Benz Sprinter chassis, the Gemini Class B is a reliable ride, every time. Thor Motor Coach Company is known for their exciting and ever-evolving line of Class B motorhomes which is why General RV center is proud to be one of the first to offer this new addition to the Thor lineup. Start your next big adventure off the right way, with the Gemini, by Thor. Sign up for emails to get the latest blog posts, future offers/giveaways and sale events! By signing up, you agree to receive offers, promotions and other commercial messages from General RV Center. You can adjust your subscription at anytime.